Baseball is a game full of rules that the majority of people who follow the game know. It's three strikes and you're out, a home run has to go over the fence (except if it's an inside the park home run, or it's one of those ballparks with the yellow dividing line for home runs on the fence, or it's Tropicana Field), and there are nine innings, and if it's tied you just keep playing. Actually, baseball is pretty confusing. And just to make it more confusing, baseball has a long list of unwritten rules. Unwritten rules are basically rules that are supposed to be followed by players, but they are not in any sort of rule book and your team will not be penalized if they are not followed, yet they have somehow developed over time. Many of the rules are centered around respect. You are not supposed run up the score, admire a home run, or steal a base when already ahead by a wide margin. While other unwritten rules are centered around revenge or not to jinx your own team. Most of these rules are ridiculous and outdated, but baseball is a sport rich in tradition and the consequences can be tough if these unwritten rules aren't followed. Vote up this list for which unwritten rules you think are the most ridiculous. This unwritten rule is all about toughness. Players do not like to let their opponents or the fans know that they are hurt, so they will do anything to avoid rubbing the spot where they got hit. Orioles outfielder Adam Jones sums up the unwritten rule like this: "You can't rub it, don't rub it, don't rub it. You are a major leaguer. You can't rub it. Go somewhere where the camera can't see you or else the fans will be all over you." Baseball is the only sport where if a fight breaks out everyone must be involved in it. Often you will see the relievers jog in from the bullpen just to stand around and get in on the action. 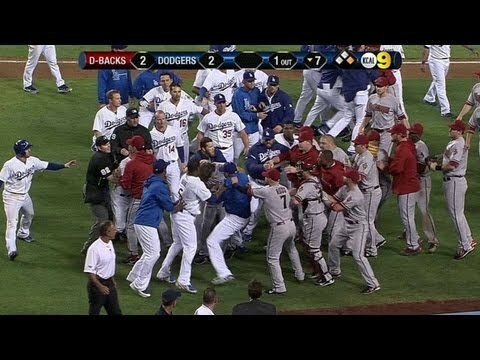 Normally, you wouldn't want a 25-on-25 man-fight, but this is baseball and the unwritten rules state that everyone must come onto the field during a brawl. The great thing about baseball is you can see something or learn something new every time you watch a game. 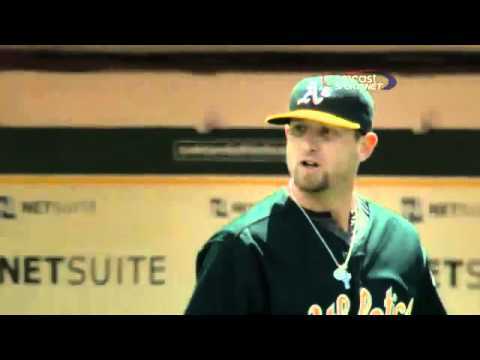 This was the case when A's pitcher Dallas Braden taught many a viewer that it is not okay to step on the pitcher's mound in-between innings. He got into a heated exchange with Alex Rodriguez who apparently broke this unwritten rule. Baseball remains by far the most superstitious sport of any of the major sports. If a pitcher is throwing a no-hitter, you will see him in the dugout by himself as no one wants to jinx him. This seems a little ridiculous since sometimes you might want to approach the pitcher about strategy, but this unwritten rule clearly states do not talk to the guy throwing a potential no-hitter.